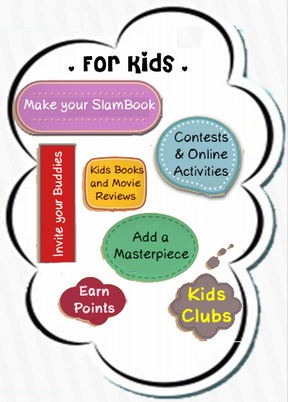 RivoKids strives to curate kids products and provide meaningful and interactive engagement for parents & kids. Last year, RivoKids and Hindustan Times held the Parents and Kids Choice Awards (PKCA) 2014 for three Age Groups (0-5 years, 6-10 years and 10-15 years). RivoKids received 1,000 nominations and about 5,000 votes from parents and children across the categories. It was hugely popular and successful with extensive media coverage and a series of 7 articles in Hindustan Times Student Edition. Check out RivoKids PKCA in the Media and the RivoKids coverage in Mint Lounge for PKCA. Need for PKCA – To answer questions like- What is best for children? - They focus on what today’s youngsters find engaging. - They inform about the choices. In this tech-age where smart gadgets rule, edutainment – education with entertainment- makes sense. It is said- ‘Knowledge is power’. Parents like me are interested to learn about activities, resources, projects and ideas to help their kids develop lateral thinking and logical reasoning. However, though most parents have the intention to provide the best, not all have access to the latest info or trends. Many cannot afford the time or effort to research or find out more or better resources. - PKCA has crowd-sourced recommendations for those of us who don’t have the information about the latest and the best must-read books or must-use-toys, apps, brands or must-watch-movies etc. - Parenting becomes easier and more meaningful when we have such good online and offline content access and extra information relevant for children of all age groups. For example, at a book store, parents normally reach out for books by familiar authors or those dealing with stories they have read or are aware. Good books by new authors may not be considered just because the author’s name is unfamiliar to the parents. Similar is the case with websites, libraries, games etc. - Recommendations and info about such products from other parents and kids can be very empowering. Rather than forcing kids to go for the tried-and-tested and for the famous choices, now with Parents and Kids Choice Awards, we have extra recommendations! With a list of other award categories like popular websites, mobile apps etc, parents now have a choice to decide from options, rather than going for the usual iconic or famous choices. Calling all parents and kids to nominate and register their favorites in the various categories given. May the most deserving find a place in the list. The nominations are on till March 30th 2015. Thereafter, the voting phase will begin. Nominate and ensure our favorites to make it to the final. Express Opinion & Win Prizes! There's a chance to win some cool prizes- shopping vouchers, book hampers, toy kits, fun games etc. Parents & kids just can't miss the opportunity! NOTE- Hurry! Nominations for Parents and Kids Choice Awards (PKCA) 2015 are open from March 15 - 30th 2015. Voting will begin from April 1st 2015 and will be on till April 30th 2015. Did you know about RivoKids earlier? Do share what you feel in the comments below. It seems a good venture, would help kids with their growth. Yes Alok. Definitely aids growth & learning. We need such info & resources. Glad that you found the info helpful, Afshan! This sound so cool. We (my 5 year old and I) are going to check this out right away. That's wonderful to know! Am sure you'll love the site as much as my daughter & I do! Yes! Ye dil maange more :) More such great ventures needed! Anita, looks like a great place for kids to visit. Looks like a good initiative soul-sis and liked the amount of information you gathered and shared with us on the post. Indeed Shweta. Glad you like the initiative.